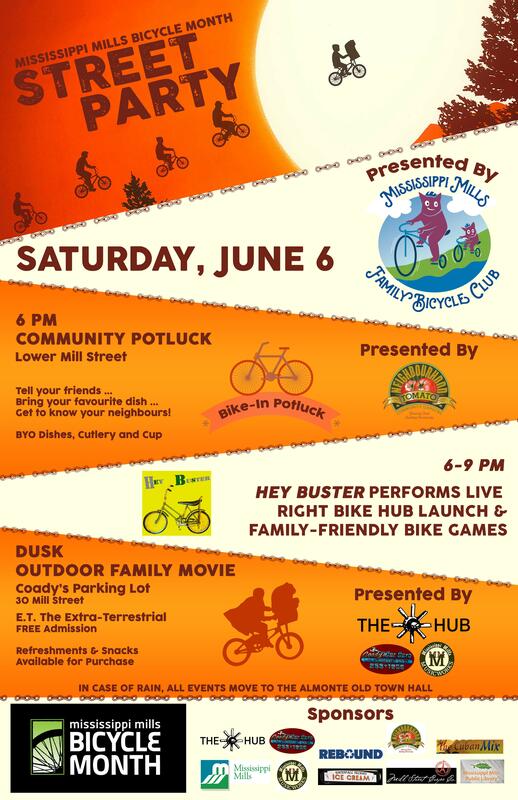 Community Potluck & Outdoor Movie Poster – The Virtual Web Expert, Inc. The Mississippi Mills Family Bicycle Club hosted a community potluck in the summer of 2015. This poster was created for the organization to promote the event on social media and in local shops.